Can anyone identify this aloe species? Re: Can anyone identify this aloe species? 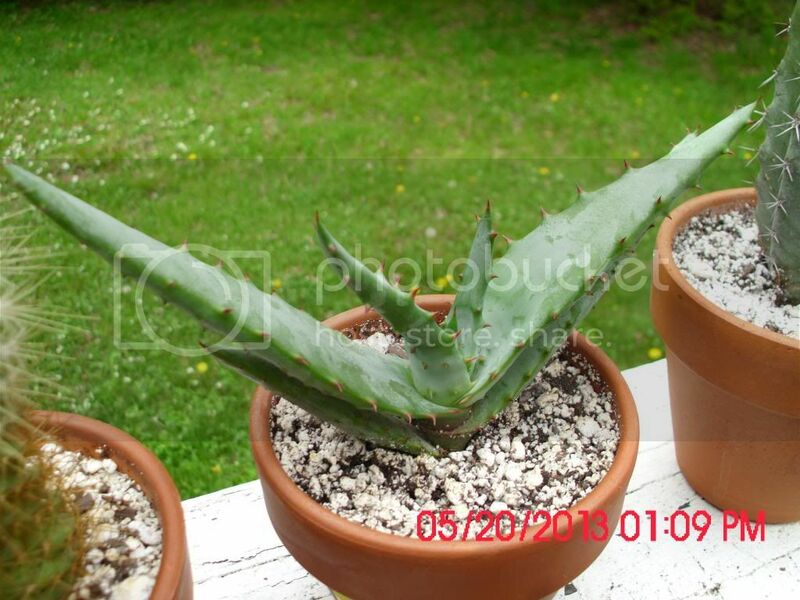 I have this same aloe. My friend gave it to me. I asked her and she said she got it from someone else. I would also like to know what species. I hope you get your answer! You may have to wait for it to grow more before you get a tentative ID on it and then wait for blooms for a positive ID. Could be Aloe marlothii. Thanks for the reply RoseMarie! You're right. 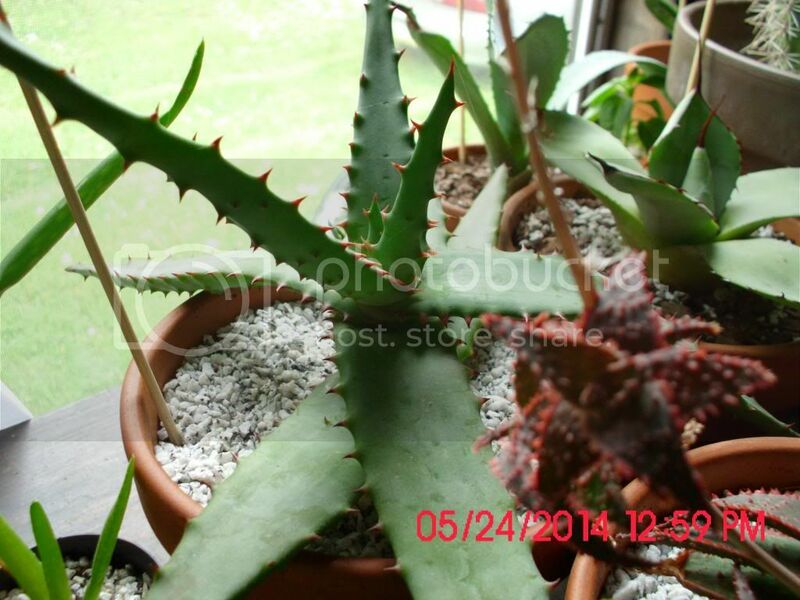 It could be Aloe martholii. Just have to wait and see, but I guess that's what I'll call it for now. That is not marlothi because the leaves are not in a full rosette but rather a flattened sort of rosette only on 2 sides. It looks a little like namibensis. 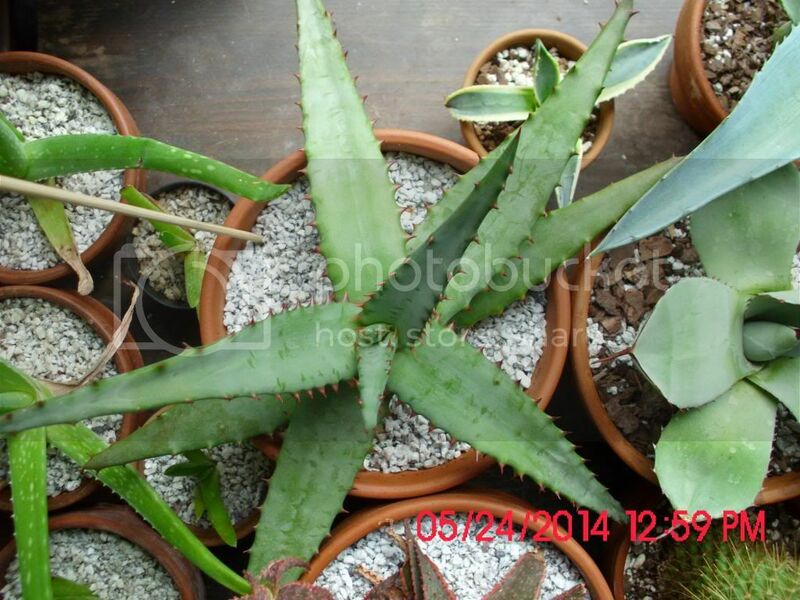 Many Aloe start out in this fan shape & will form a rosette as they grow. This one is similar to several others. It will require patience to determine its ID. My plants do not get the required light during winter, and that explains the droopy leaves. . This aloe does NOT appear to pup though. . Is it Aloe Marlothii?